Thanks to a pregnant sister who has some pretty serious food cravings these days, I made two killer birthday cakes, one for my husband, one for my mom. I have a reputation in my family for cheesecake. I don’t know what I do but my mom says that nobody can do cheesecake like me. But for these March birthdays, Denise suggested angel food cake. Last year I made an angel food cake and she didn’t forget how good it was. I learned a valuable lesson during my first angel food cake experience that I thought I’d share. When you take the angel food cake out of the oven to cool, don’t, I repeat, don’t, suspend the angel food cake from a soda bottle. Trust me on this. If you do not heed my staunch warning, oh you’ll see that your beautiful angel food cake will fall in fluffy, white clumps onto your marble kitchen island. And that, my friends, is not pretty and quite shameful. Last year, I scooped up the pieces of my destroyed dessert, placed them in a glass bowl and redeemed the whole thing with homemade whipping cream and strawberries. I then sprinkled powdered sugar over each serving and the entire crowd was utterly silent devouring every last morsel of the crest-fallen creation. You could have heard a pin drop last year. 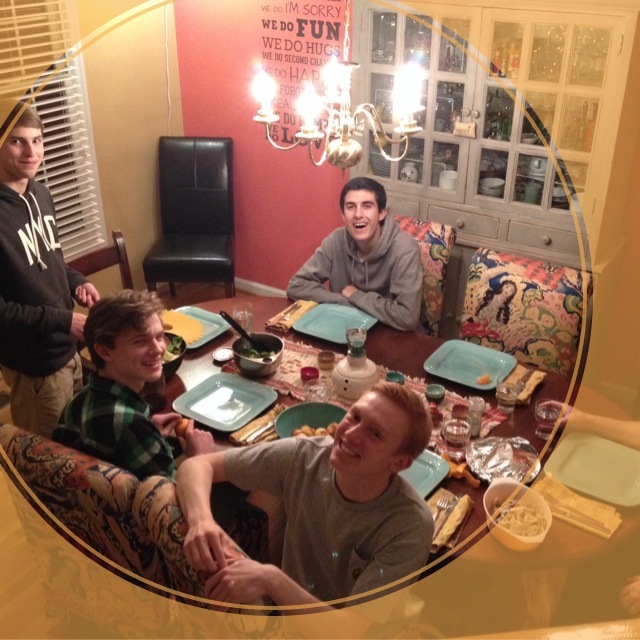 When no one is talking during a meal or a dessert, that’s when you know you done good. This time, I wanted to achieve the same delicious flavor minus the flop. 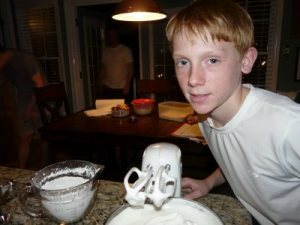 Isaac was my trusty sous-chef and we made two, count em, two angel food cakes. At first, it seemed we were going to have another problem. As Ike whipped the egg whites and such together on the first cake, nothing poofed up. I ran upstairs and began googling “angel food cake problems” and that tasty guy kept at it. I was certain we were going to have to start all over again but to my amazement, Ike’s perseverance paid off. My sweet OS had faithfully swirled the mixer around for almost 10 minutes, I’m not kidding, until the egg whites, cream of tartar, etc., decided to do their thing. I was thrilled! Ike and I beheld our desserts and beamed with pride. They were purty, y’all. 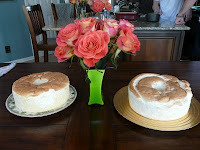 As our family streamed into our house for dinner, I couldn’t wait to show them our angel food cakes. My mom was definitely impressed to learn that 12 year old Ike was instrumental in the success of these tasty delights. Ike is going to be one fine catch some day! Ladies, watch out! I placed the cakes on the table along with the beautiful roses I had purchased at Sam’s Club. We sang “Happy Birthday” and cut into the sticky, spongy white cake. Then I decorated each piece with fresh strawberries, blackberries and blueberries, a dollop of whipped cream and my signature dusting of powdered sugar. 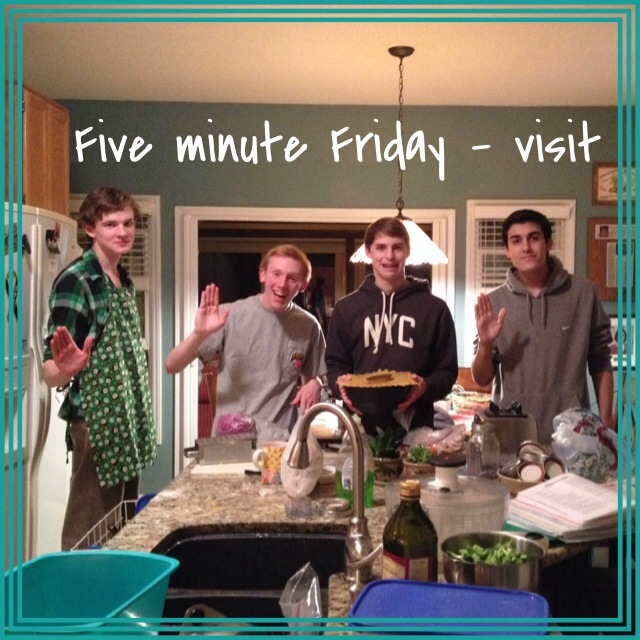 I recall moments of silence and requests for another helping and Ike and I were satisfied in every way. Move oven rack to lowest position. Heat oven to 375 degrees. Mix sugar and flour, set aside. 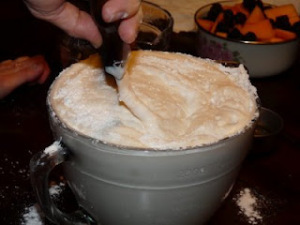 Beat egg whites and cream of tartar in large bowl with electric mixer on medium speed until foamy. Beat in granulated sugar, two tablespoons at a time, on high speed, adding vanilla, almond extract and salt with the last addition of sugar. Continue beating until stiff and glossy meringue forms. Do not underbeat. 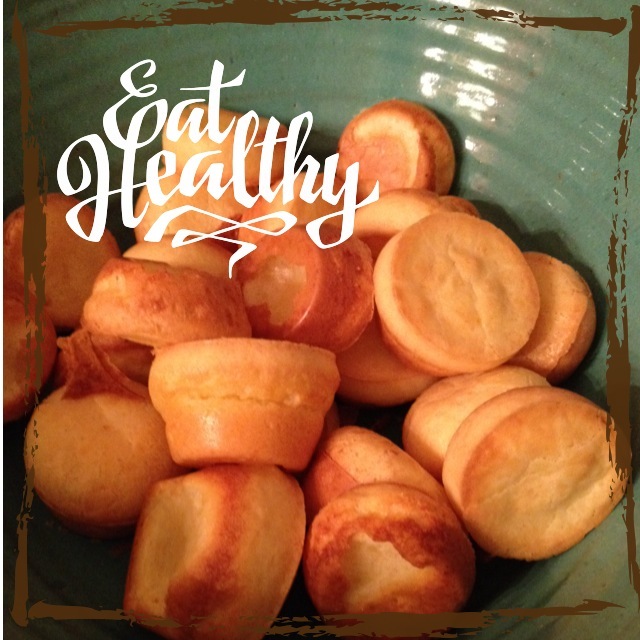 Sprinkle sugar-flour mixture, 1/4 cup at a time, over meringue, folding in just until sugar-flour disappears. 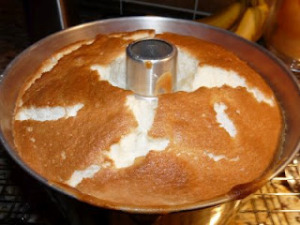 Push batter into angel food cake pan. 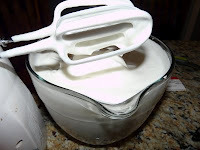 Cut gentle through the batter with metal spatula. Immediately turn pan upside down onto a baking rack. Let hang about two hours or until cake is completely cool. Loosen side of cake with knife or long, metal spatula, remove from pan.